Chief Anthony Enahoro, The Nigerian Minister of Home Affairs, is one of the keenest golfers in Nigeria. 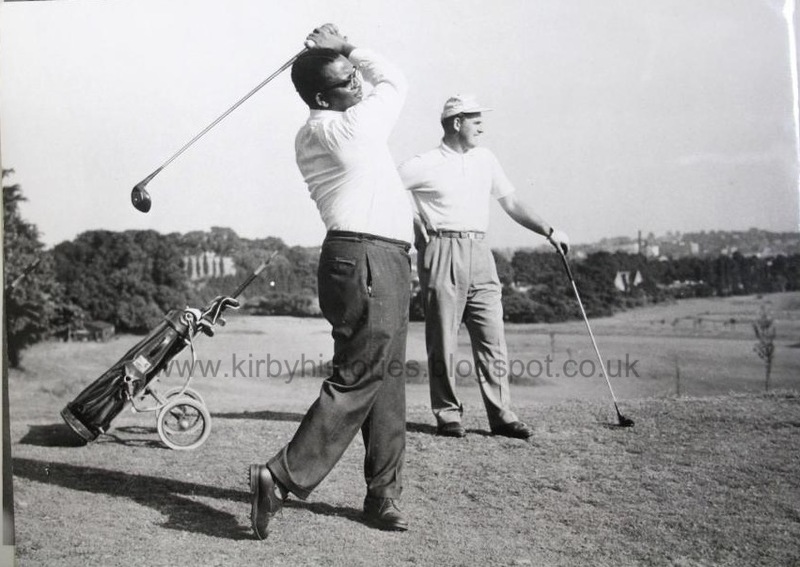 He is seen here as he drives off from a tee at Sudbury Hill Golf Club near London. Watching his shot is Dave Thomas the club professional who recently returned form a tour of America. Chief Enahoro who is a full member of the Sudbury Club – which is the only club in Great Britain to have an African Chief as a member – took up golfing only two years ago. He is a member of the Ibadan Golf Club in Nigeria and has a handicap of twelve. Now, in Britain on a 10 day visit before leaving for the United States on Government business, Chief Enahoro spends most of his spare time on the golf course.